Already well used by church and community, and benefitting from an all-ability access, there is a vision to make this building even more of a centre for all. Worship here is enhanced by the adaptable worship space. Pews can be moved, areas can be created for use of smaller groups, and we can build on this to provide a greater range of worship opportunities. Quiet services, times for personal reflection and worship with resources set out for people to use if they wish. We can create space for children anywhere in the main part of the church, for babies, toddlers, young children – even teens. Our vision for this building is to continue to discover ways it can be used! Outwith worship, it is used for the Toy Library and we would want more groups to be able to use the space, become comfortable in the building, and be then more prepared to venture in on a Sunday. Toddlers come into St Ninian’s happily because they now know it so well. As a community resource (and church) it can be and is used for sales, lunches and concerts. Proposals are under way for the upgrading of St Ninian’s Church. The latest position can be seen under the St Ninian’s item in the News section of this website. A cottage across the road from St Ninian’s was bought to provide much needed space for JaM – our Sunday School. 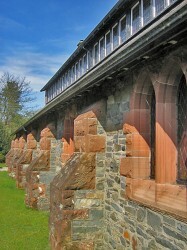 With walls they can cover with their work, which remains there for the following week (previously corners were found in halls in the village, or JaM met in St Ninian’s either before or after church). Now families can come to church, and we all benefit. Our vision is to now concentrate on increasing the youngsters to feel more and more at home on a Sunday through more participative family services, through reading and being part of the whole church service on these days. We now have space to expand naturally into younger and older children; with a crèche being made available. During the week these rooms can be used for church meetings, for the Handbell Ringers, and for community group use. They are already being used well for music events (practice sessions, teaching) and by other groups for coaching sessions. We believe this holds huge potential for the future being so close to St Ninian’s, the two can be used in conjunction to offer quiet space, or break out groups, or bible study meetings, or discussion groups. 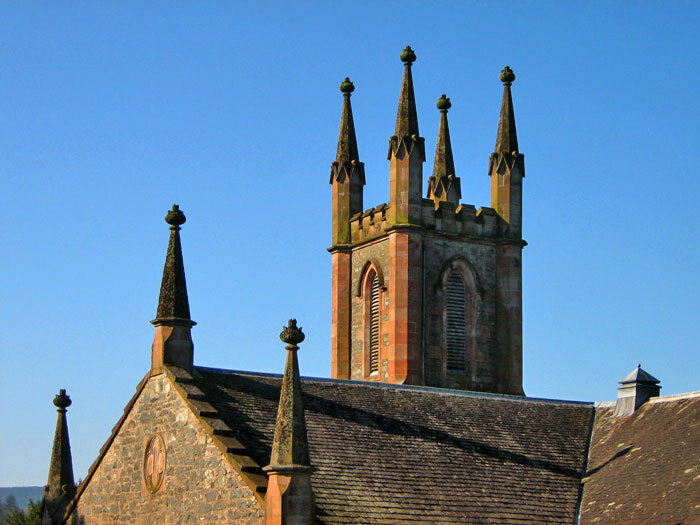 For worship, though only once a month, plus special services, funerals and weddings, Glencairn offers not only a magnificent building, but one which has been well maintained and heated. Responsible stewardship of the congregation’s limited funds and support has led to a decision to dispose of the building. The current position can be seen under the Glencairn Church item in the News section of this website. Our buildings provide for us a wonderful range of facilities. Our challenge is to continue to use them all well, to develop their potential, to become more and more ‘open’ both as regards unlocking the doors more often and being prepared to allow our ‘worship’ to spill over from Sundays into every day of the week; and from traditional worship services to discovering we can praise God through activities, through reaching out to the community, and through letting the community share our riches – and so know the riches God offers to all.